Millennium 7 Publishing Co.: The Economy Influenced By Social Media? 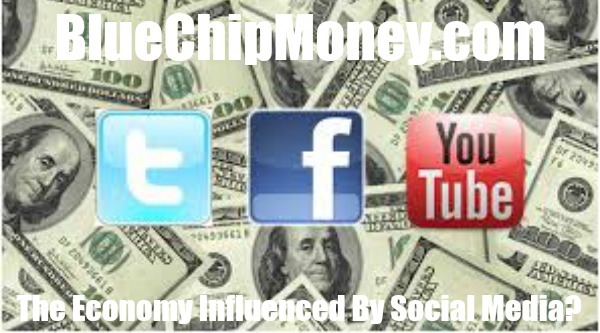 The Economy Influenced By Social Media? How does social media influence the economy? Challenging question to answer, because I think it’s a very complex relationship in a lot of ways..
Before social media, you had to pay to get out information about your business. Now, every person and company is its own media brand - and there are significantly less barriers to reaching people. This has allowed smaller brands to gain a foothold in the market much easier. When we see trends like craft beer, food trucks, and local fashion, that is often the result of harnessing social media platforms to build a following in a cost effective way. Prior to smartphone and social adoption, it was much more difficult (and expensive) to reach people, especially if your location wasn’t on a main street. One or two small businesses isn’t enough to worry a big brand, but millions of them around the country can make a serious dent in their market share. Social media is deeply linked to a series of platforms (Facebook, LinkedIn, Youtube, etc.) that control distribution. They are the plumbing that allows (or doesn’t allow) content to spread. This has disrupted the traditional advertising model, and these platforms have become some of the world’s biggest companies by market capitalization as a result. And as a result, they have passed traditional leaders in market valuation. Even though the platforms are dominating, they also provide a whole new ecosystem for entrepreneurs to build off of. Here’s a chart of the social media universe. It’s quite big so go here to see a larger version. Related Article: YOUR Social Media China Marketing? Guest Authored By Jeff Desjardins. Jeff is Founder and Editor-in-Chief at Visual Capitalist. Visual Capitalist creates powerful visuals to explain the world of business. One of the fastest growing media companies in the world, quoted on Business Insider, Forbes, Marketwatch, The Huffington Post, The World Economic Forum, and Fast Company. Follow Jeff on Twitter. Related Article: Powerful Social Media Success Metrics? "Social media is deeply linked to a series of platforms (Facebook, LinkedIn, Youtube, etc.) that control distribution. They are the plumbing that allows (or doesn’t allow) content to spread. Facebook and Google, for example, control almost 60% of all online media spend now.."